The listing below will provide you with products we keep floor stocked at our sack feed warehouse. These products are also available in bulk. 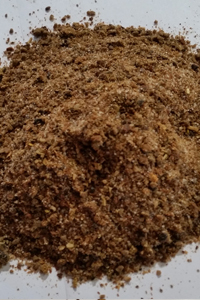 If you cannot find a product that fits your needs just give us a call and we will formulate a custom mix for you. We provide rations for brood cows on pasture, bred or with calves by their side, a large array of feeds for stocker calves, show cattle, herd bulls, and even rodeo bulls. Whatever type of cattle you have we have a feed ready or we can custom make one for you. For mature beef cattle on pasture, limit feeding to 1 to 3 lbs. per head per day. Provide plenty of good quality forage and fresh clean water at all times. 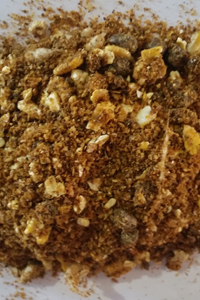 A cube made of a mix of cottonseed meal and peanut meal for supplementing protein in cattle grazing dormant grass and hay. Helps meet protein requirement so cattle maintain body condition through the winter and pregnancy. Includes added vitamins A,D,& E as well as a trace minerals. For mature beef cattle on pasture, limit feeding to 1 to 4 lbs. per head per day. Provide plenty of good quality forage and fresh clean water at all times. Supplies protein to cattle grazing dormant grass and hay. Helps meet protein requirement so cattle maintain body condition through the winter and pregnancy. Includes a trace mineral pack with chelates and added vitamins A, D, and E.
Our “top of the line” cube. 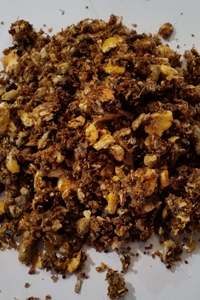 Uses peanut meal, corn gluten and alfalfa as protein sources and some corn to increase energy. Heavily fortified with our custom mineral/vitamin mix which includes chelated forms of several minerals that are more readily absorbed. High energy and high digestibility. 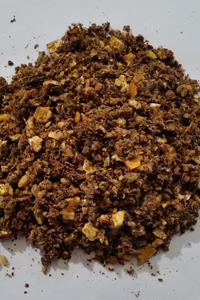 For mature beef cattle on pasture, limit feeding to 2 to 4 lbs. per head per day. Provide plenty of good quality forage and fresh clean water at all times. 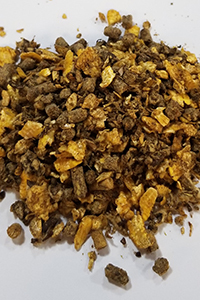 Includes a trace mineral pack with organic selenium and added vitamins A, D, and E.
Our best selling cube, uses a corn gluten base which makes the cubes stronger and less prone to creating fines and cracking, it also gives the cubes their dark color and strong smell. Our special Spring and Summer time cube. Formulated to supplement protein when there is a good amount of grass for cattle to graze. Usually our least expensive cube, works great for calling the cattle up. Includes added vitamin A. Includes: added vitamins A, D, and E, chelated zinc, and added minerals Mg, P, K, Ca, and Se. Feed at a rate of 1 to 4 pounds per head per day in a trough or bunk to beef cattle as a supplement to pasture grass and or hay. Keep feed in cool dry storage. Provide plenty of clean fresh water at all times. For cattle raisers with access to feed troughs, we have developed an excellent alternative to feeding cubes. Our new 20% Range Meal is 20% protein and 5.5% fat (fat carries 225% more energy than carbohydrates). 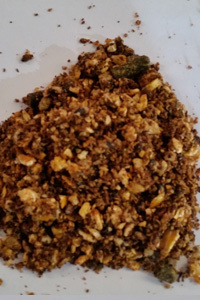 When making cubes there are several ingredients that we must avoid using because they will make a cube too crumbly (mostly high fat ingredients), by making a textured feed we are free to use these ingredients to make a more nutritious and digestible product than our 20% cube equivalent. 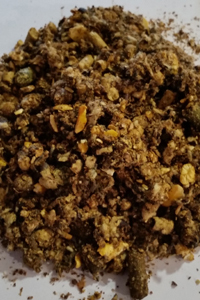 This feed contains a high level of bypass protein (protein that is not degraded in the rumen but is digested directly into the animal at the small intestine), steam flaked corn, whole cotton seed and added vitamins and minerals. This is an extremely rich feed and must be fed at a similar rate to cubes, DO NOT FEED FREE CHOICE. For mature cattle on pasture, feed free choice. Consumption should be 1 to 2 pounds/head/day. Provide plenty of good quality forage and fresh clean water at all times. A free choice protein supplement containing 2 parts protein and 1 part salt to limit intake. A convenient way to provide protein supplementation around the clock with little labor involved. Fortified in minerals including chelated zinc & selenium, vitamins A, D, E, and Diamond V Yeast. For calves less than 300 lbs on pasture. Limit feeding to 1 ½ to 3% of body weight/day. Provide plenty of good quality forage and fresh clean water at all times. 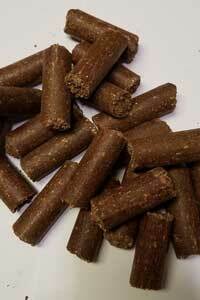 High protein, high energy, high grain, for calves with developing rumens. Contains additional minerals and vitamins for proper growth. Fortified in minerals including chelates, & added vitamins: A, D, E.
For cattle on pasture or confinement weighing 350 lbs or more, can be fed free choice. Provide plenty of good quality forage and fresh clean water at all times. 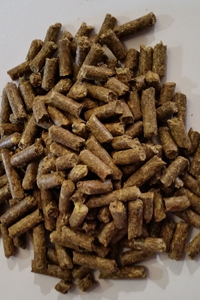 One of our best-selling feeds and very affordable. 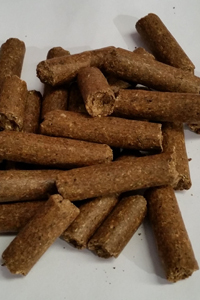 A 10% grower with a high level of rumen degradable fiber, steam flaked corn, whole cottonseed and other ingredients. This high level of fiber prevents problems associated with excessive carbohydrate consumption. Includes added vitamin A. For calves on pasture, feed 1 to 3% body weight/head/day. Provide plenty of good quality forage and fresh clean water at all times. Similar to Stocker 10 but with more grain and a 12% protein level. 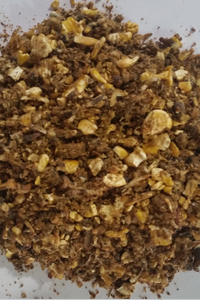 A grower ration for younger cattle needing a bit more energy and protein with added vitamins and minerals. An excellent transition feed to use between our 16% Calf Starter Meal and Stocker 10. Includes added vitamins A, D, E, and a trace mineral pack with chelates. For Bucking bulls on pasture or confinement, feed 1 to 1 ½% body weight/head/day for bulls over 1000 pounds. For bulls less than 1000 pounds feed 2 to 2½% body weight/head/day. 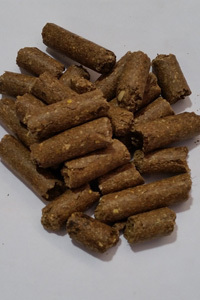 This feed can also be fed free choice as long it is slowly increased from the above rates. Provide plenty of good quality forage and fresh clean water at all times. 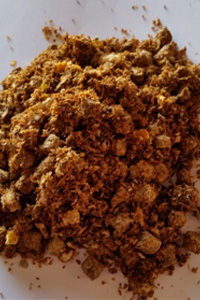 Contains: Diamond V Yeast for rumen health and increased digestibility, organic zinc for hoof health, organic selenium, and vitamins A, D, and E.
Contains bypass fat that avoids degradation in the rumen has a greater effect on the animal than regular fat sources. Low in starch yet high in energy from a large amount of digestible fiber. 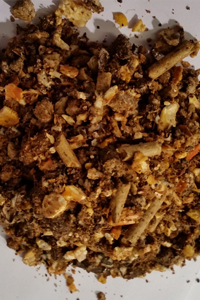 Contains Tasco (for greatly increased immunity protection, antioxidant properties, slower metabolism and lower body temperature causing the animal to gain more from the same amount of feed and deal with stress better, rumen microbe population is optimized as well as the tissue lining the intestines.) Also, contains ground yucca which acts as an anti-inflammatory for sore joints. For cattle on pasture or confinement, feed 1 ½ to 3% body weight/head/day or slowly increase feed from this level to free choice. Provide plenty of good quality forage and fresh clean water at all times. For producers who desire a very high energy grain based finishing ration. Commonly used as a show feed or to finish out a steer for slaughter. 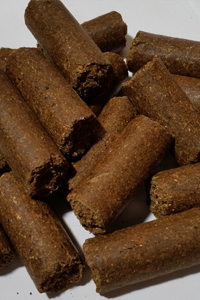 Duncan Supreme contains enough fiber to safely feed free choice. Includes added vitamins A, D, E and trace minerals. For cattle on pasture, feed 1 ½ to 3% body weight/head/day. Provide plenty of good quality forage and fresh clean water at all times. A highly fortified show feed for cattle. 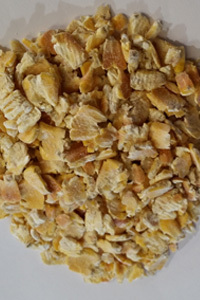 Features include, steam flaked corn and soybean meal base, yeast culture, biotin, B vitamins, organic trace minerals, high levels of vitamins A, D, and E, and no by-products. Contains bypass fat that avoids degradation in the rumen has a greater effect on the animal than regular fat sources. 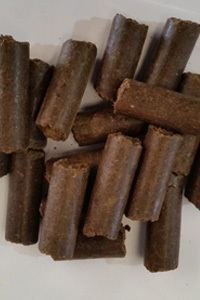 Contains Tasco (for greatly increased immunity protection, antioxidant properties, slower metabolism and lower body temperature causing the animal to gain more from the same amount of feed and deal with stress better, rumen microbe population is optimized as well as the tissue lining the intestines.) Also, contains ground yucca which acts as an anti-inflammatory for sore joints and Lasalocid for improved weight gain and feed efficiency. Includes Activo Premium essential oils. For cattle on pasture or confinement, feed 1 ½ to 3% body weight/head/day. Provide plenty of good quality forage and fresh clean water at all times. 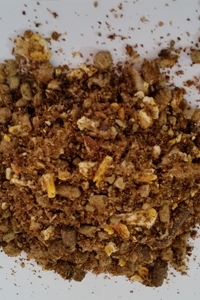 For producers who desire a very high grain base growing ration with a high protein level for growing out cattle. Very similar to the Duncan Supreme but with slightly less corn and more protein. Includes added vitamins A, D, E and trace minerals. Also, contains bypass fat that avoids degradation in the rumen has a greater effect on the animal than regular fat sources. For ruminants on pasture or confinement. Consult with our nutritionist for guidelines on how to use this product. Provide plenty of good quality forage and fresh clean water at all times. 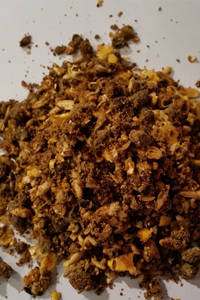 A protein concentrate you can use to increase the protein level of the feed you're using. 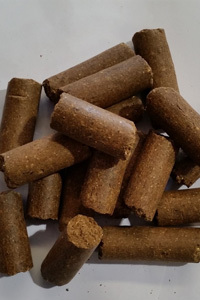 Add a small amount to your cattle feeds to increase the energy level of the feed. 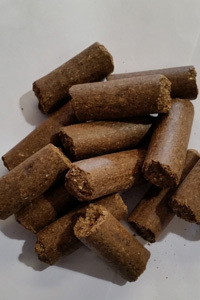 A simple way to increase the energy level of your feed, commonly used on show cattle and for finishing out cattle for slaughter. 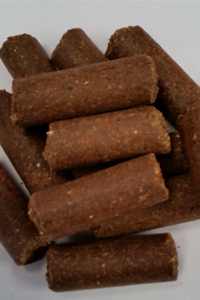 A low cost feed that can be fed on the ground when higher levels of nutrition are not needed. At higher feeding rates body condition will improve due to the extra amount of calories.